An avid traveler, he has directed numerous choral pilgrimages, performances and familiarization tours for directors in Italy (including Papal Mass at the Vatican) Holy Land, France, Germany, Austria, Ireland, England, Spain, Portugal, Czech Republic, Poland, Turkey and Greece. 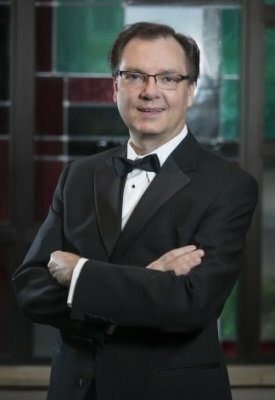 He is co-director of the American Pilgrimage Choir. Holy Land, 2018 was fantastic! Sing Mass at the Vatican and many other Basilicas and Cathedrals including Assisi, Florence, Livorno, Nettuno, Montecassino, Pisa, and Scavi tour of the Vatican!